Gambit have become the DreamHack ZOWIE Open Winter champions following a 2-0 win over Renegades (Nuke 16-12, Cobblestone 16-10). With a powerful attack to lower through ramp, Gambit got off to a flying 4-0 start on Nuke before Renegades responded. The Australians only got two rounds on the board however, whileGambit took over once more, breaking their opponents economy over and over until it was 9-2. Once again, Yaman “yam” Ergenekon’s squad wasn’t able to string more rounds together and got reset. Two desperate buys afterwards, Gambit got to a 12-3 lead. The first map looked firmly in the hands of Mihail “Dosia” Stolyarovand company once they also clinched the second pistol round, but a forcebuy win gave Renegades a lifeline. 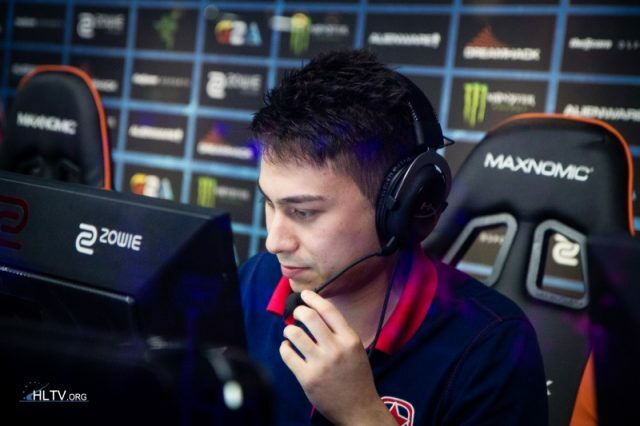 They managed to win six out of the following seven rounds to get to double digits, though doubles from Danylo “Zeus” Teslenko and Abay “HObbit” Khasenovsecured map point for Gambit. Justin “jks” Savage’ double in a 2v2 on the lower bombsite delayed the map for two more rounds, but Dauren “AdreN” Kystaubayev’s triple in the 28th finished off Nuke at 16-12. Three kills from Dosia as well as a 1v1 gave Gambit the pistol round on Cobblestone, where they began on the CT side. A double fromHObbit and Dosia’s triple in two of the first three gunrounds pushed the CIS side to 4-1, but Renegades quickly equalized the score. The following round was worth two and Gambit got the better of it, and only lost one more round before the half ended at 10-5 in their favor right after HObbit got another big play on platform. When the pistol round and the first gunround also went Gambit’s way comfortably, the Australians had little to no hope in the match as they were trailing 5-14. Renegades managed to get a few gunrounds and anti-ecos but ultimately couldn’t come back asGambit celebrated the victory at 16-10. Previous articleSlike sa Gamescon-a na Beogradskom sajmu!